Companion care may be provided on a formal or informal basis. Some older adults have friends who stop by periodically for a friendly visit and help them manage household tasks. Other companion services are available on a formal, paid basis, offered through a variety of local organizations or independent contractors. The local Area Agency on Aging is a good place to start if you’re looking for companion care services for yourself or an aging loved one. If you’re already receiving services from a home care agency or hospice, inquire about companion care services. Some organizations offer companions as part of the overall care plan, while others can connect you with other local agencies that provide companion services. 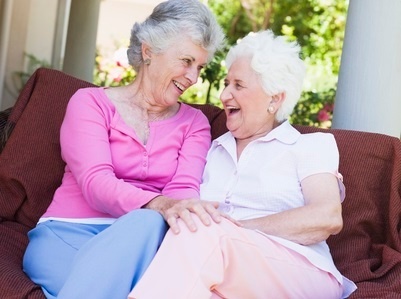 Companions typically make regular visits, which may vary in frequency depending on the care recipient’s unique needs. Usually, companions visit at least weekly, while some may visit two to three times per week or even daily to help older adults prepare meals, take care of laundry, and other tasks. Schedules may also vary depending on appointments. If an older adult has an appointment scheduled outside of typical visit hours, companions will often adjust their schedules to accommodate these needs or make arrangements for other transportation. According to the 2016 Genworth Cost of Care Study, the average national median cost for companion care (classified as homemaker services) is $125 per day or $3,813 per month. Average costs vary from state to state, ranging from a median average of $96 per day (Louisiana, with monthly median average costs at $2,908) to a median average of $175 per day (North Dakota, with monthly median average costs at $5,331). The cost of homemaker services or companion care services may be less than these average median figures depending on where you live and the number of hours you need a companion each day. The national median hourly rate for homemaker services is $20 per hour, marking a 2.56% increase in average median costs from 2015. Genworth calculates average median rates based on 44 hours per week. If your loved one only requires the help of a companion for a few hours per day or week, your costs may be significantly lower than these estimates. Some older adults may reside with other family members and require the aid of a companion only when another family member is unable to be present, for instance, while others are mostly independent but need the help of a companion for physically challenging household tasks such as housekeeping. For a clearer picture of your potential costs, determine your loved one’s needs and contact your local Area Agency on Aging to inquire about companion care providers and average costs in your area. Companions provide a variety of beneficial services that make life more manageable for older adults, but companionship itself is perhaps the most important, particularly for seniors who live alone and find it difficult to get out of the house. Older adults living independently often experience loneliness and isolation, and companions engage in conversation, take walks with their care recipients, and play games like card games or board games, and simply provide a listening ear and someone to talk to. Likewise, by transporting older adults to the local senior center for activities, to healthcare and therapy appointments, and other activities, companions help older adults remain active and engaged and also ensure that they’re able to receive vital healthcare services. Older adults and people with disabilities may also struggle with mobility and other challenges that make carrying out everyday tasks like washing dishes and laundry difficult. By taking care of tasks like light housekeeping, companions alleviate a tremendous burden from their care recipients, resulting in greater quality of life. Does Your Loved One Need Companion Care? Older adults who reside independently in their own homes may eventually have difficulty managing everyday household tasks. Whether they experience a loss of mobility with aging or cognitive decline from the onset of Alzheimer’s disease or dementia, companion care is often the first way families seek help to enable their aging loved ones to remain in their own homes. If other family members work full-time or have other obligations, it can be difficult to ensure that a family member is always available to transport a senior loved one to regular doctor appointments and help with other errands like grocery shopping. These seniors, particularly if they no longer drive and lack access to convenient transportation, can benefit from companion care. Additionally, older adults who live alone and don’t have many friends or family members who make regular visits can benefit greatly from the socialization offered by a companion. 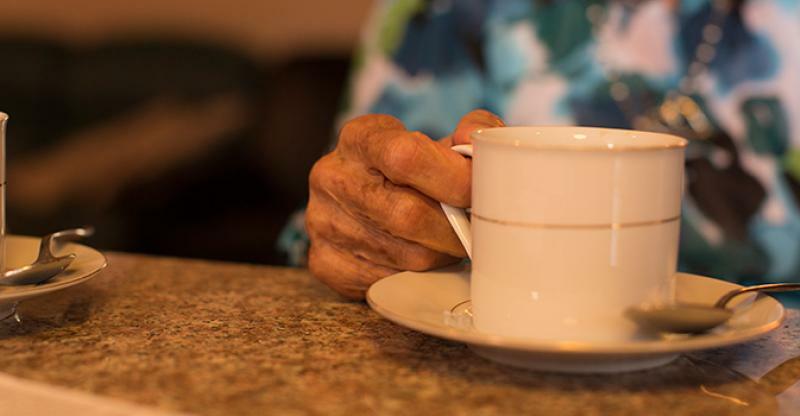 Companion care is a valuable benefit for older adults who face challenges in keeping up with daily household chores, are at risk of isolation, or need transportation to appointments and other locations. If your aging loved one wants to age-in-place, companion care is one of the most helpful services to enable them to remain independent, in their own home.